Oh me, oh my. Pinch me, ’cause I am writing this late at night and I think I’m dreaming. 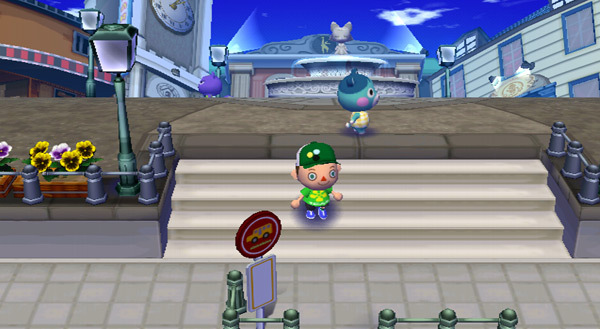 Animal Crossing: City Folk for Wii has been announced for a scheduled release on or around November of 2008. By the looks of its recent trailer, it is much bigger and much wilder than its past incarnations. I won’t spill the beans just yet, but lets just add to the hype by saying AC:CF will allow voice integration, meaning you can talk LIVE with your friends through Wi-fi to give a more authentic real-life experience. Although the graphics haven’t changed much from its DS version of Wild World, “City Folk” more than makes up for it with what seems to be a much bigger world revolving both around the simple life, and the more industrious city we all know (and love?). Follow this link to view a couple of screenshots and the trailer for Animal Crossing: City Folk! Posted on July 16, 2008, in News, Wii and tagged animal crossing, city folk. Bookmark the permalink. Leave a comment.